Breaking habitual response patterns is easier said than done. However, aspects involving Mercury and Venus today could well be of assistance in doing just that. If you find yourself returning to a thought or action that might have resulted from early programming, pause and consider precisely what led to it. One well-placed line from an astrologer can make all the difference in your life. 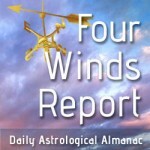 We now have two editions of the Four Winds Report — one with, and one without your daily reading. You may be one of the readers who wait for years for me to offer you this — and now you can have it. Horoscope Lover membership gets you direct mailing of each day’s reading, plus the weekly reading on Sunday night, and the monthly reading the last Thursday of the month. Sign up at this link. Today’s Birthdays: Sophia Brahe (1556-1643), Harry Hooper (1887-1974), Jean Rhys (1890-1979), Fred Rose (1897-1954), Jorge Luis Borges (1899-1986), Wynonie Harris (1915-1969), James Tiptree Jr. (1915-1987), Howard Zinn (1922-2010), Nancy Spero (1926-2009), Betty Dodson (1929), Kenny Baker (1934-2016), Jean-Michel Jarre (1948), Alexander McCall Smith (1948), Stephen Fry (1957), Meg Munn (1959), Marlee Matlin (1965), Ava DuVernay (1972), Dave Chappelle (1973), Rupert Grint (1988). In a campaign rally in Phoenix on Tuesday night, Donald Trump repeatedly defended his response to the deadly white supremacist rally in Charlottesville as thousands of protesters who had gathered outside were attacked by police with tear gas and pepper balls. View this and other Democracy Now! posts here. We feature this informative show as part of our affiliation with the Pacifica Network. Moon Phase: Moon is in New phase and enters Waxing Crescent phase on Aug. 25 at 1:57 am PDT / 4:57 am EDT (08:56:41 UTC). Next Full Moon is in Pisces on Sep. 6 at 12:03 am PDT / 3:03 am EDT (07:02:43 UTC). Corresponding New Moon in Virgo is on Sep. 19-20 at 10:30 pm PDT / 1:30 am EDT (05:29:47 UTC). Moon Sign: Moon is in Libra and enters Scorpio on Aug. 26 at 1:53 am PDT / 4:53 am EDT (08:52:46 UTC). — Venus trine Chiron at 11:00 pm Aug. 23 PDT / 2:00 am EDT (05:59:46 UTC). — Mercury opposite Nessus at 12:40 am PDT / 3:40 am EDT (07:39:47 UTC). — Pallas sextile Neptune at 4:59 am PDT / 7:59 am EDT (11:59:32 UTC). — Sun square Huya at 5:49 am PDT / 8:49 am EDT (12:49:02 UTC). — Venus square Uranus at 12:01 pm PDT / 3:01 pm EDT (19:01:19 UTC). — Vesta square Asbolus at 2:52 pm PDT / 5:52 pm EDT (21:51:48 UTC), and Varda at 3:16 pm PDT / 6:16 pm EDT (22:15:44 UTC). You must stick to the task at hand to get things done, though be cautious of what psychologists call “over focus.” Keep a wide perspective, and many sources of information flowing in your direction. This will serve to challenge your pre-existing ideas and beliefs, and take you past the viewpoint of your parents. You have a long way to go, and that’s a good thing. Breaking habitual response patterns is easier said than done. However, aspects involving Mercury and Venus today could well be of assistance in doing just that. If you find yourself returning to a thought or action that might have resulted from early programming, pause and consider precisely what led to it; you may discover an alternative recourse in the process that proves to be more helpful all round, and which perhaps you’ve always wanted to try. 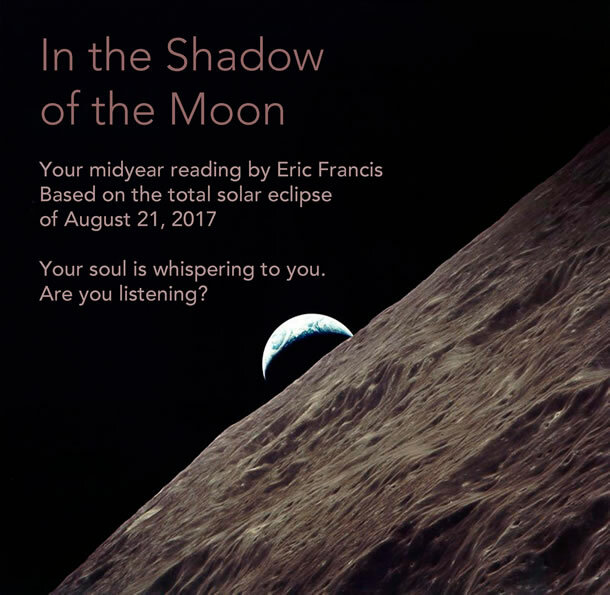 On Aug. 21, a total solar eclipse in Leo signaled the second stage of whatever life-shifting process you’re engaged with. This is a unique year for you, Leo. In addition to the current eclipses (and the double New Moons in your sign), your birthday reading will cover such astrological heavyweights as Chiron finishing up its journey through your 8th house; ever-surprising Uranus; and Saturn leaving your fellow fire sign, Sagittarius — plus more. Are you navigating changes in your relationships or family paradigm? Do you find yourself at a career crossroads? Are you seeking clarity, encouragement and new perspectives on your creativity, self-esteem, sexuality or healing process? You’ll find ideas and reassurance in this reading. "I have just listened to your Part 1 and Part 2 readings and I am amazed at how accurate it has been. Like you have a telescope watching me shed a skin and transform into a totally changed person in the last 10 years." 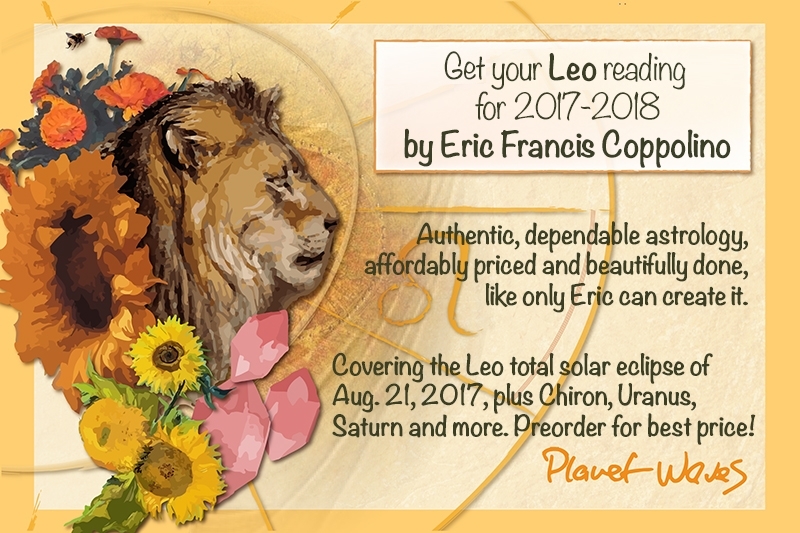 Your reading is now priced at $44; so you’ll want to order your 2017 Leo Reading very soon. This reading is designed to work for anyone with Leo Sun, Leo rising and even Leo Moon — and makes an amazing gift.